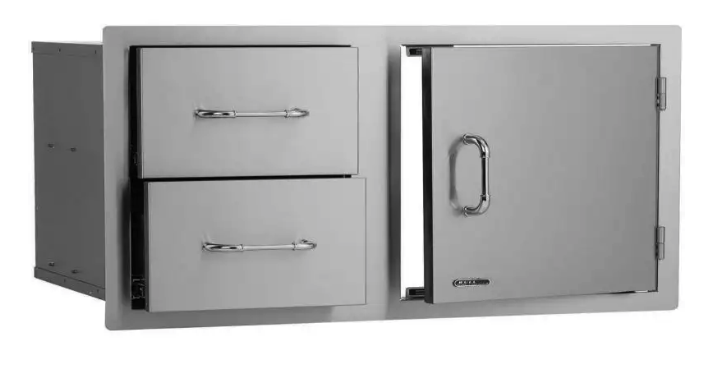 Product Description: Bull 30-Stainless Steel Access Door & Double Drawer Combo - 25876. 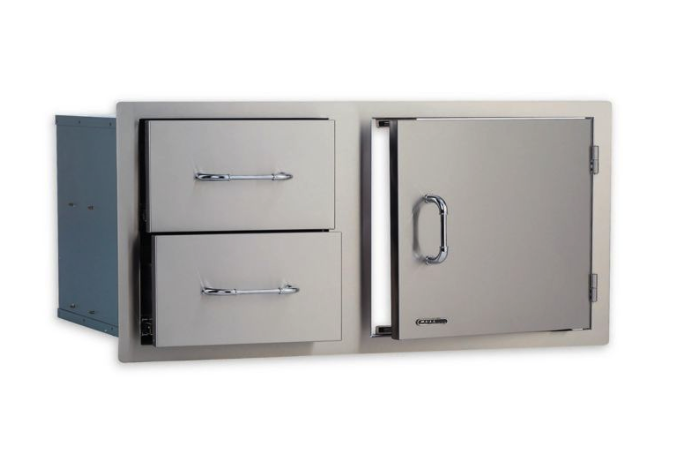 This combination of a single access door and a dual drawer, adds a space saving design feature to any Bull BBQ island. 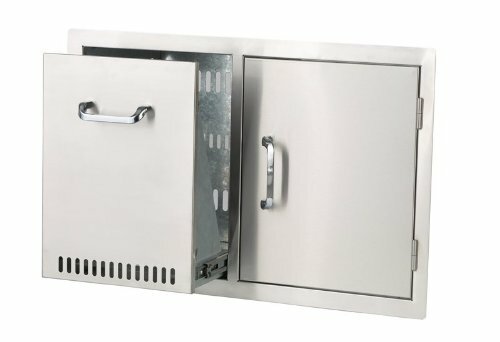 Bull accessories are guaranteed to make your outdoor entertaining area a complete success.